Like us, Connect with us, Talk to us. We specialize in Tax & Accounting services including financial audits, reviews, and compilations. We also provide accounting systems solutions, financial modeling, research, and financial management services. We serve individuals and small to medium size companies. 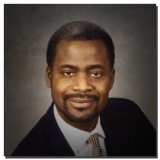 I am Dr. Rodney Jean-Baptiste, a Certified Public Accountant licensed in the state of Massachusetts, USA. For many years, we have helped many companies move to the next level. We certainly can make a difference. Rodney Jean-Baptiste, CMA, CPA, Ph.D.